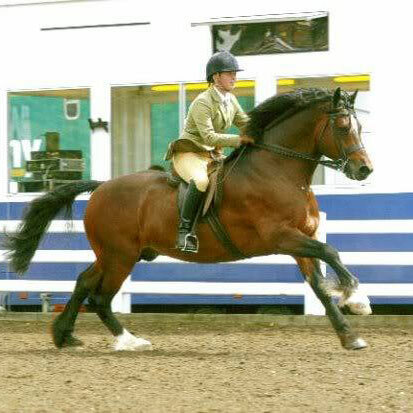 Pennal The Great is a true to type Welsh Cob Stallion of exceptional beauty, with exceptional blood lines and an exceptional Career as a ridden Welsh Cob Stallion and in hand breed Stallion. 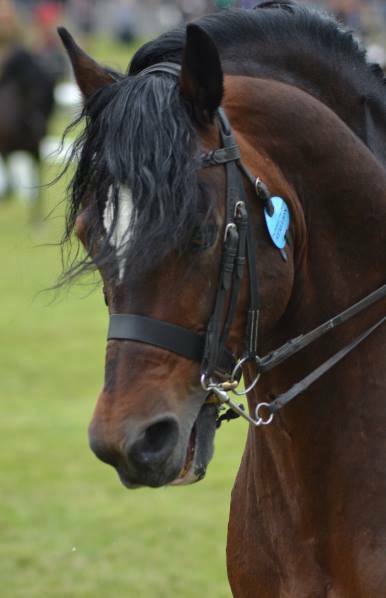 Pennal The Great is undoubtedly one of the most beautiful Welsh Cob Stallions in the world today. Not only is he breathtakingly beautiful with the most stunning head and eye, he simply oozes Welsh pony character together with a truly mesmerising Stallion presence. The illustrious female line of Pennal The Great can be traced back on a continuous female line to 1886. Mr W. L. Harris who registered the Pennal Stud was one of four Brothers of the Rhystyd Stud. 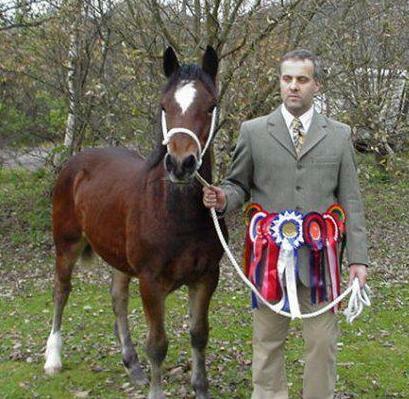 Pennal The Great is the Grandson of the Pennal Stud’s foundation mare, Rhystyd Fashion. 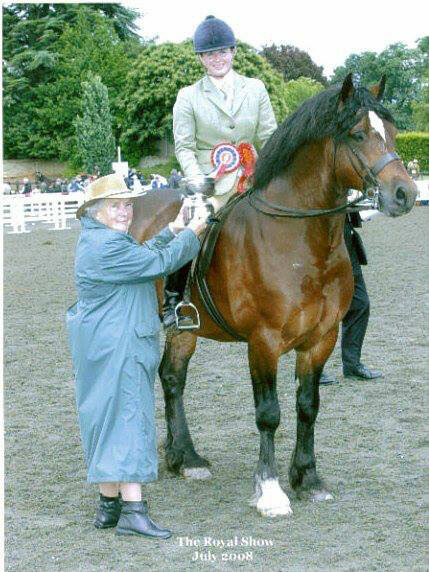 In her lifetime, Rhystyd Fashion produced four Royal Welsh Winners and she was a Royal Welsh Winner herself, winning Reserve Female Champion in 1978. 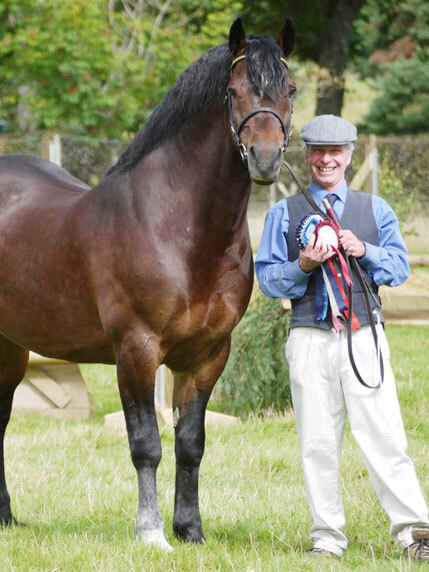 Rhysted Fashion’s dam is also the full sister of Royal Welsh Male Champion, Rhysted Prince and her daughter, Pennal Lively Maid, Dam of Pennal The Great, is also a prolific breeder who just like her Mother has produced Royal Welsh Winners and Champions. Pennal Lively Maid is also the Dam of Pennal Brynmor, himself the youngest ever recipient of the George Prince of Wales Cup. From that day forward, Pennal The Great has lived up to his name and more! A ridden career that spanned five years during which time Pennal The Great dominated the ridden Welsh Section D classes at National level. 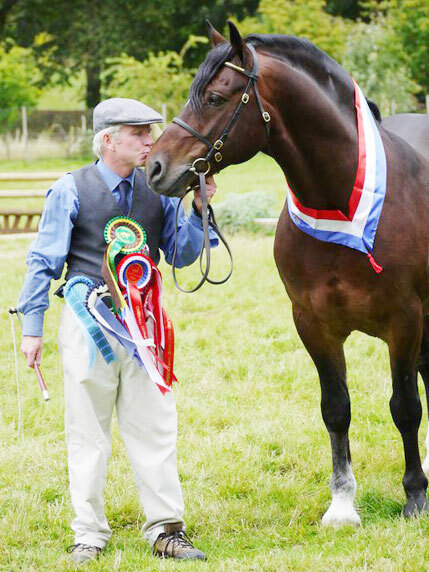 Always lightly shown throughout his career, The Great competed in only nine HOYS qualifiers to achieve five times qualification to the Horse of The Year Show with three of the qualification achieved at the first attempt. 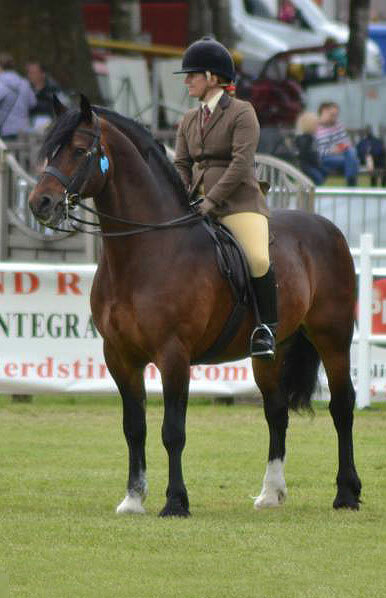 There are far too many wins and championships to mention, however an example of two of our most memorable days has to be winning the ridden Mountain & Moorland HOYS Championship at the Royal Agricultural Show of England where from over 200 of the very best Mountain, Moorland and Welsh Ponies in the country, the six year old Stallion was selected as RASE Ridden Hoys Champion. Another hugely memorable day saw the Stallion selected as the overall Supreme In Hand Mountain & Moorland pony at the National Pony Society Blair Finals in the morning and followed this achievement by being awarded the overall Supreme Ridden Championship in the afternoon. His phenomenal presence combined with powerful, free flowing movement and superb, natural carriage captured the hearts of Show Judges, Producers, Competitors, Commentators and Spectators in equal measure. There is a common thread of desirable attributes which flows through the young stock sired by Pennal The Great. 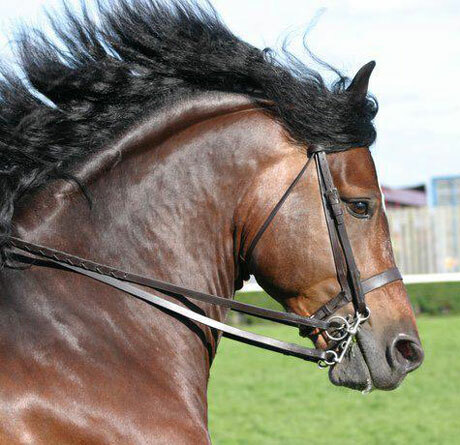 Their owners have all reported there ‘Harri Foals’ to be beautiful and have an unmistakable look of their Sire, to have generous, trainable temperaments, to possess balanced, athletic, powerful, free flowing movement, of strong limbs with superb length of rein and undeniably Welsh Cobs that are full of Welsh Pony Character.